There are certain techniques involved in writing children's stories that are not as necessary in other types of publications. Learning how to think imaginatively, like a child, and to create worlds that appeal to a child's point of view are important writing skills that children's authors specialize in. The employment of rhythms, characterizations, dialogue, and even illustrations are all essential components in the composing the next great children's book. Also, educated children's writers know that children are different at each age, and they know how to target content specifically for the designated age group audience. Although children's stories may be simpler, they require a great deal more attention to details: like poems, children's stories need to pack a punch in a compact space. Only the best trained individuals who are exposed to the full range of children's literature and the techniques that go into composing such texts will have an opportunity to obtain an ideal career in this field. 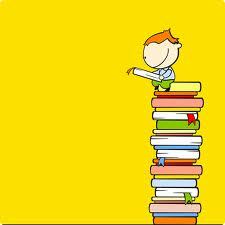 Of course, the most coveted career position in the field of children's books is that of author. There is a special, irreplaceable pride that authors feel when they see their published book on a shelf. And that pride multiplies exponentially when authors witness their works being read and enjoyed by children. Courses in children's literature will show potential authors the techniques to creating the next childhood classic, and also reveal to writers the ways to market their talents to publishers to get their books into the presses. Aside from writing and publishing their own works independently, children's book writers can also find employment at specific publishing agencies who hire full-time writers to compose children's stories. In this career, you won't suffer through the hassle of finding publishers and worrying about marketing your story you have an entire publishing company waiting for you to turn out that next great series. And if you're not a writer at these companies, then you could very well be working on a team of individuals either as a creative director, an illustrator, or an editor to collaboratively produce an effective children's story. No adult who has their own favorite stories from their childhood can deny the power of creative storytelling and effective writing. Once you have taken the courses that will enable you to truly compose memorable texts, you will have the ability to stand out from among the noisy crowd of would-be authors and get your stories noticed. Children everywhere who need bedtime stories, who are climbing onto parents laps, or who are developing readers in need of practice await your patiently crafted tales to enchant them. Who knows? Maybe your stories are the ones future adults will one day say they best enjoyed when they were children.